In collaboration with representatives of the related industries, the FDA (American Food and Drug Administration) created a task force in the early 90th to define the scope, general requirements and implementation procedures for electronic records that the agency would accept instead of the traditional paper based records. In March 1997, the final ruling on electronic records, signatures and submissions, known as 21 Code of Federal Regulations (CFR), Part 11, was signed and published.This 21 CFR Part 11 regulation applies to all industry segments regulated by the FDA and provides a guideline for the development and implementation of software based processes. Its intention is to define rules for secure data storage and the creation of so called Audit Trails. The use of electronic records will help reduce the cost of business processes that require creating and maintaining extensive paper documentation. CFR 21 Part 11 regulates the acceptance criteria for electronic documents created mostly by electronic systems as software. Since analysis processes and data created by LabImage Platform is no longer paper based, electronic records needs to be considered equivalent to paper based records and handwritten signatures. For the first time, this determines how paperless record systems can be compliant with most GLP, GMP and GCP processes – we call GxP environments. 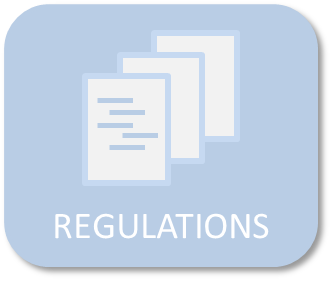 The 21 CFR Part 11 rules establish minimum criteria for electronic records and electronic signatures to be trustworthy and reliable. The intention is to minimize opportunities for record falsification and to maximize chances of detecting falsifications. The use of electronic records and electronic signatures is still voluntary but most companies consider this as essential part of any IT based analysis system. Companies can decide to replace their paper based record-keeping with electronic record-keeping processes. See the video of how to install and setup LabImage 1D with full 21 CFR Part 11 compliance.